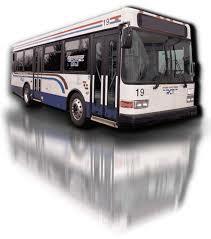 Richland County Transit offers a variety of services to help our community meet their travel needs. Richland County Transit operates 14 fixed city routes that cover areas within Mansfield, Ontario, Shelby, and portions of Madison. Click HERE to view the coverage area map or click BUS SCHEDULES to see a specific route. Persons with disabilities who cannot use the regular fixed routes because of their disabilities may obtain door-to-door service on wheelchair accessible vehicles. 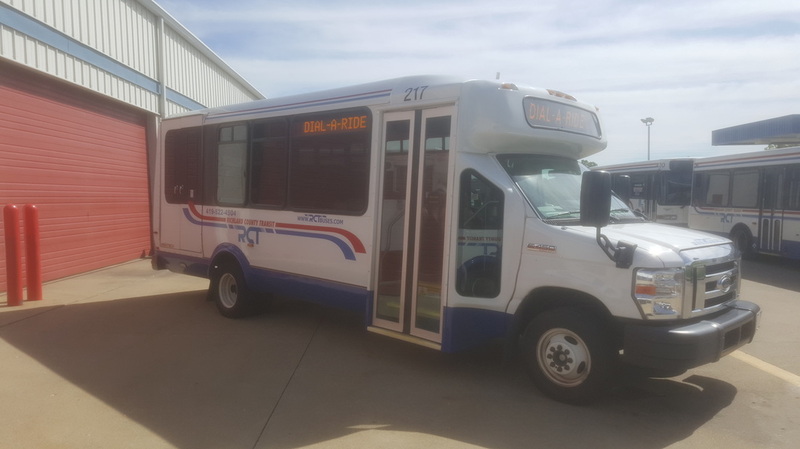 This service is available at the regular paratransit fare of double the regular adult fare, within the regular service area, and from 7:00 a.m. to 6:00 p.m. The regular service area covers all areas within 1 mile of all RCT fixed routes. To be eligible for this service, persons with disabilities must have the RCT Dial-A-Ride application form signed by their doctor. To schedule a trip, calls must be made by 5:00 p.m. the day before service is requested. Trips are provided on a first call, first served basis. Call 419-522-4504 to reserve your trip. Monday trip reservations or revisions can be made by calling on Sunday and leaving a message on the answering machine. However, it is always better to call Monday through Friday and speak directly with a Transportation Specialist. REASONABLE ACCOMMODATIONS & MODIFICATION SERVICE Richland County Transit will honor and accommodate any reasonable modification to service. We will make every attempt to provide transportation that meets our client’s needs as long as the request: Does not fundamentally alter the service; does not create a direct threat to the health and safety of others; is not necessary to permit the passenger to use the services for their intended purpose (nondiscriminatory). All reasonable modifications should be made as soon as possible. Reasonable modifications on RCT should be made at the time of the trip reservation to allow for proper consideration and planning for such modification. If you require reasonable accommodation, please notify your operator or call. For The Richland County Transit (RCT) dial: 419-522-4504. If you are visiting Richland County, and have been determined-eligible by another transit or public agency, then RCT will honor that eligibility while you are here. Contact your local certifying agency. Ask them to notify RCT of your ADA eligibility. You will be able to use RCT's Paratransit service for 30 days during a calendar year. If you need service beyond 30 days, you will need to apply for local certification. Contact RCT for help in notifying your destination city of your ADA certification. 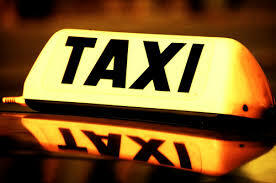 RCT partners with the City of Shelby to provide taxi service. For current information or to schedule a ride within the City of Shelby, call 419-347-5131.